Little ones discover what they can build with City Planner Blocks from Hape. 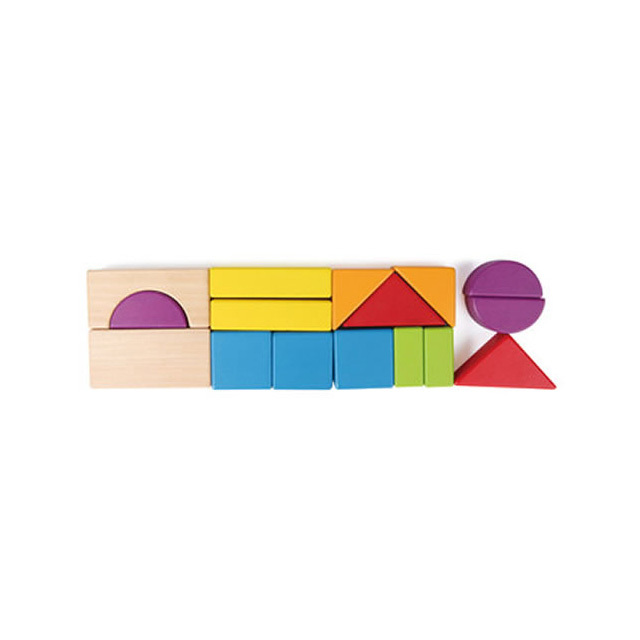 This 15 piece wooden set features a variety of shapes that allow young builders to create multiple architectural masterpieces. This set includes a convenient plastic tote for easy storage and portability! 15 piece set comes with 1 large natural wood rectangle, 3 blue cubes, 3 semi circles, 2 red triangles, 2 orange triangles, 2 small green rectangles, 2 medium yellow rectangles, and an arch. Largest block measures approximately 3" long x 1.5" wide.